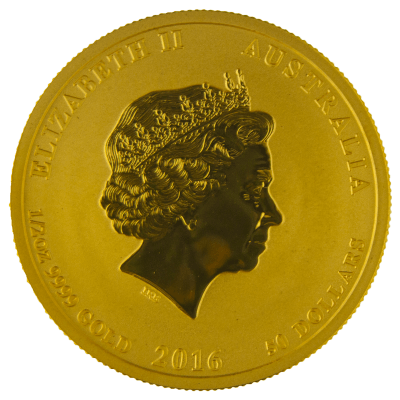 One half ounce Australian Lunar Monkey featuring an appealing monkey design on the reverse and Queen Elizabeth II on the obverse. 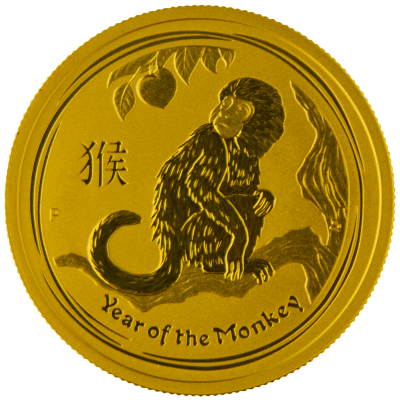 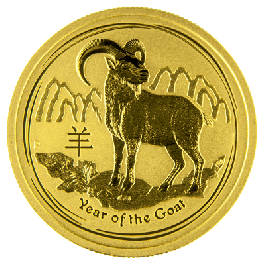 Minted by the Perth Mint to commemorate 2016, the Year of The Monkey. 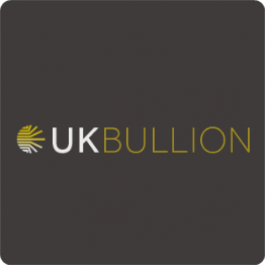 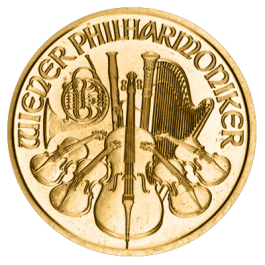 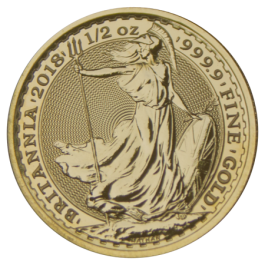 An attractive coin for both the investor and collector. 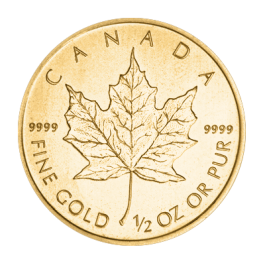 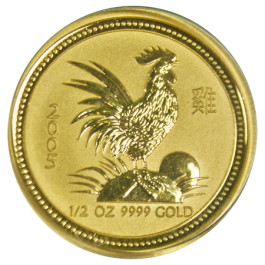 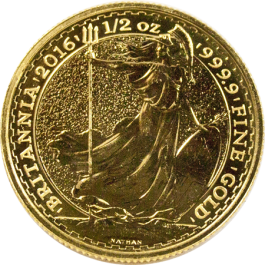 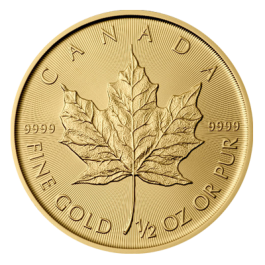 0.500 Troy Oz or 15.550 grams of Fine Gold Content. 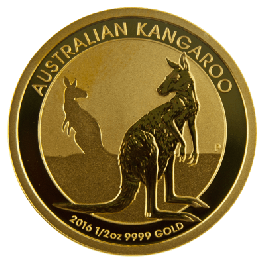 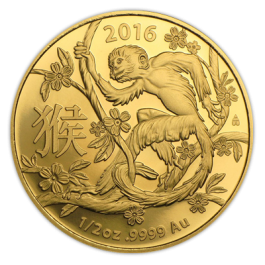 Your 2016 1/2oz Gold Lunar Monkey - Perth Mint (Australia) will be delivered to you free of charge and fully insured during transit, in a nondescript package that will not draw attention to the nature of the contents.